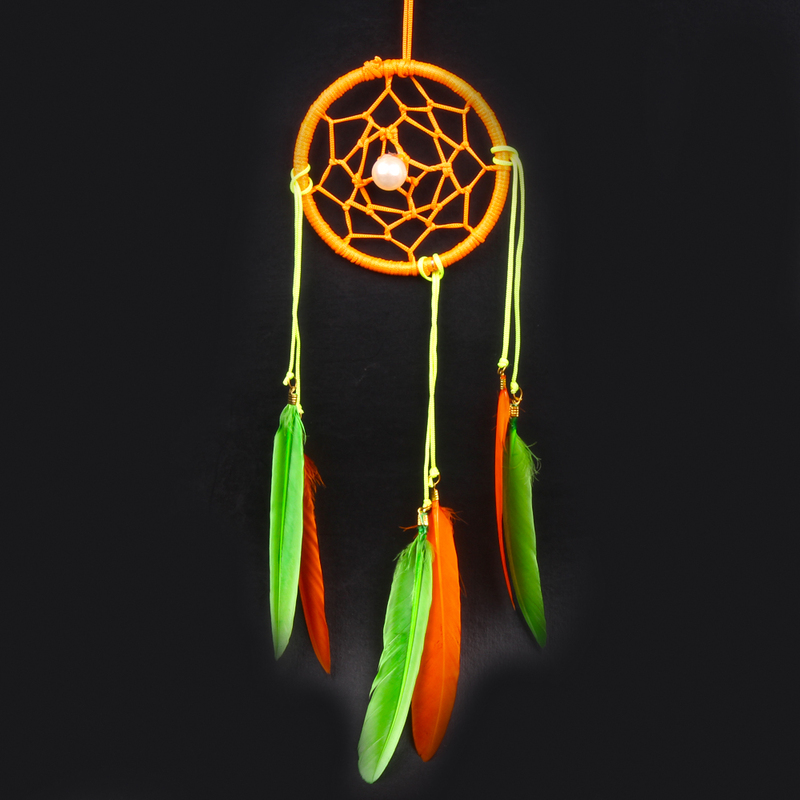 Product Consists : Attractive Orange Dream Catcher. 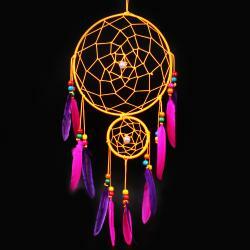 Attractive Dream Catchers are the art and craft practiced by Native American people. The size of the hoop may vary slightly due to natural variations in the nylon thread materials may differ slightly from the shade due to the dying and tanning process. 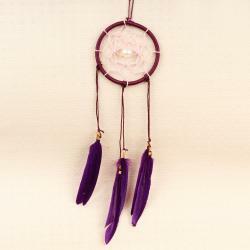 You want specific color beads or themed, this dream catcher will be the perfect. 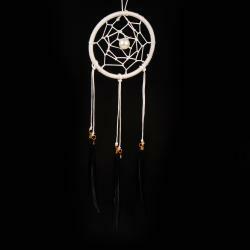 The negative dreams would get caught up in the web, and expire the first rays of the sun struck them. 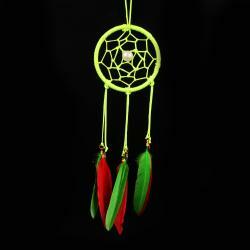 Our dream catchers are not entirely traditional, we respect and are inspired by their roots. The Wings symbolize freedom and the only thing that limits that freedom is our mind. 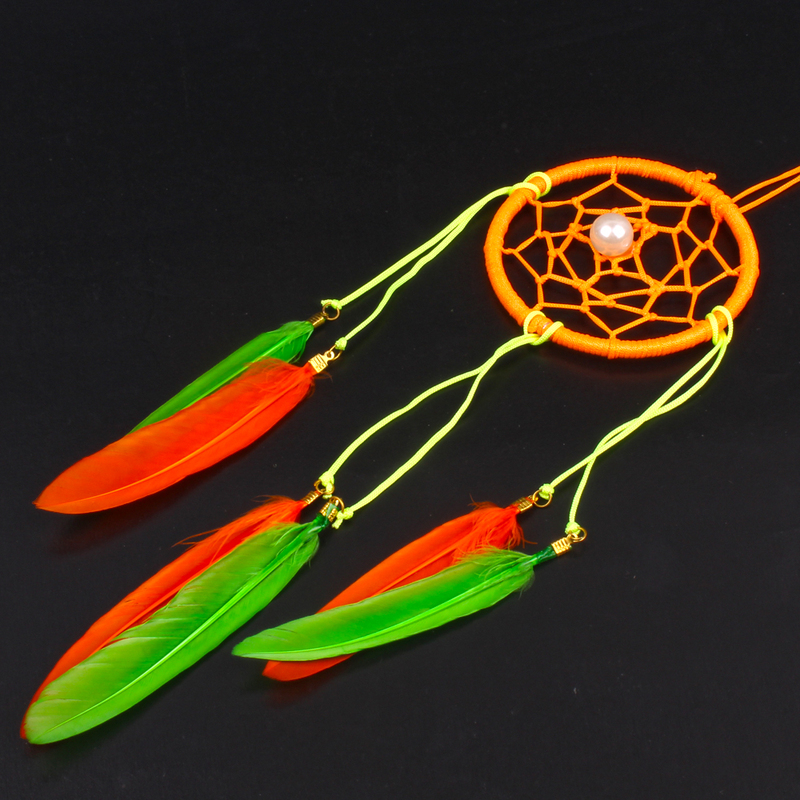 Product Consists : Attractive Orange Dream Catcher.